Hello again from sole possession of 4th place. These banged-up replace-Mets are impressing me with their drive, even while disaster forever lurks nearby. Longtime MBTN contributor Shorty in New Jerseydelivered the following awesomeness to the mailbox the other day. Check it out. After his first seven games as the Mets’ manager, TERRY COLLINS’ record was 3 wins and 4 losses to show for it. That matched exactly the entire Major League managerial career of MIKE CUBBAGE, who managed the Mets for seven games and went 3-4 in 1991. 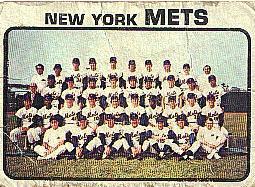 Next on the list would be ROY McMILLAN, who managed the Mets for 53 games in 1975 and had a record of 26-27. 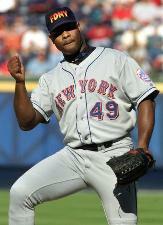 Believe it or not, if the Mets go 5-5 over their next 10 games, Collins will match McMillan’s record exactly! I don’t know about you, but given the 2011 Mets so far, 5-5 in their next 10 sounds like a pretty good bet, after which Collins will aim for and hopefully miss badly the managerial career of Frank Howard, who in 116 games managing the Mets won only 52 of them. For Terry’s crew to match that record, they’d need to stink up the joint to a record of 31-42 over their next 73. I can’t think of a better way to prevent .425 baseball this summer than to see R.A. Dickey turn things around, and soon. Whether it’s his book deal and erudite interviews, his control of the knuckler, or what, he’s got to be better than the guy he’s pitching against for these Mets to win his games — the offense just isn’t there to take back all the leads than he’s surrendered. 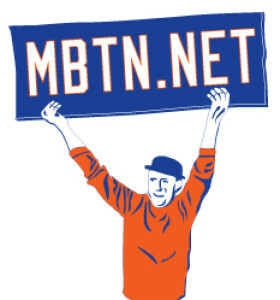 Tonight’s game at MFY Stadium is a big moment then for all of us, so Let’s Go Mets. Meantime, I got another message from a reader named Josh, who’s looking for information on uni numbers for the Tidewater Tides, particularly in the Todd Hundley Era (early 1990s). If you can help Josh, feel free to write him at swishagency (at) gmail (dot) (com). Thanks in advance for the help! I swiped the accompanying image from Mets Gazette, I think it lends an appropriate gravity to all that’s going on these days. The Mets’ have employed but two pure knuckleballers in their history. The first was righthanded reliever Bob Moorhead, who developed the delivery while on the road back to New York following a string of injuries (including, ironically, breaking two knuckles by punching a Sportsmans Park dugout door in frustration after a 1962 outing). Moorhead’s other distiction was having been the first relief pitcher ever called on in a Mets game. Moorhead wore 22 as a knuckleball dabbler in 1962 and 21 as a specialist in ’65. 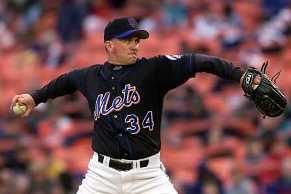 The Mets’ last pure knuckler, Dennis Springer, was released shortly after taking a pounding from the Reds on a frigid, wet, windy April evening at Shea in 2000. 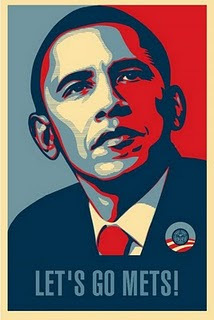 He wore No. 34. The Mets for a time were developing potential knuckleball throwers in the minors. One, Zac Clements, was a converted catcher who appears to have topped out at AA Binghamton in 2006.Charlie Hough, a longtime knucleball hurler, was the Mets pitching coach in 2001 and 2002. Dickey in the meantime only signed a minor league contract, and has had only sporadic success in the majors to recommend him, but I’l be rooting for him just the same. Knucklers of recent vintage including Tim Wakefield and Tom Candiotti wear No. 49 so as to honor Hoyt Wilhelm, one of the giants of the craft. The Mets’ current tenant of 49 is lefty Jon Niese.